Running a business in the 21st century is an undeniable challenge. Apart from the fact that businessmen are to take care of the quality of their goods and services, they have to build close relationships with their customers, based on mutual trust. To do this, two methods are available: inbound and outbound marketing. Nowadays, the second way is the most appropriate, as it deals with email marketing. It stands without reason, that businessmen are in a great need of companies, who will help them to communicate with the subscribers. Today, several companies offer their services, such as UniSender, MailChimp, Mailigen, SendPulse. SendPulse is the best alternative among above-mentioned companies because its range of services is really unique. 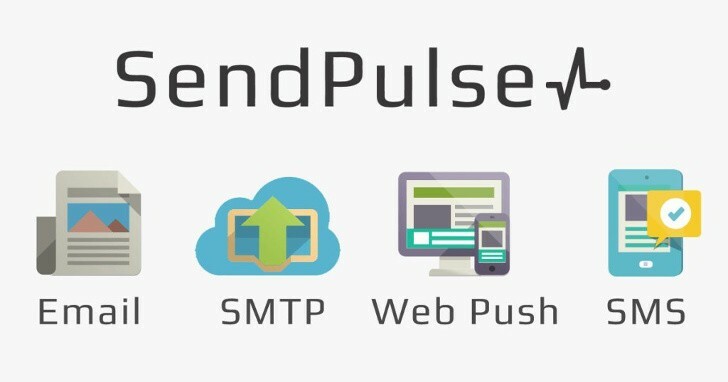 The main and distinctive feature of SendPulse that it helps businesses to send bulk emails, not only reducing costs but providing really individual approach is Artificial Intelligence(AI) that increases open rates. AI gives an opportunity to predict the behavior of the users, gather a great deal of information about thousands of email addresses, geolocation, choose the right time for people to receive the message, monitor history, and previous purchases. All the subscribers are unique and different, thus the appropriate approach is needed. Subscribers segmentation divides customer base into groups according to certain criteria. Such criteria can include gender, age, positions occupied, preferences, interests and the place in the Buyer’s Journey. This information is collected when a person subscribes. This approach helps to create more targeted campaigns. Segmentation is really an effective way to increase the effectivity of your work as it doubles email open rate, users’ engagement and raises conversions. Personalization helps to make email targeted and personal. Person’s name is the most pleasant word to this person in any language. AI can use not only the name but city, age, date of birth, company’s name in the subject line or the body of the email. Besides, with the help of personalization, you can activate your leads, for example, offering them a discount or bonuses. So, this mechanism arouses interest in communication, builds trust relationships with the clients and provides uniqueness and individuality of the content letters. Using personalization, the email open rate, click through rate, conversion, and revenues will rise. It is very easy to start a campaign with the help of SendPulse. Click on “Create a campaign”, but before you do, you have to create a company mailing list. You enter the name of it and the with the help of “Copy&Paste” add the addresses. Done! Then you will see such a table. Then return to “Start campaign”. You Mailing list is already here. Sender’s address will be automatically added. Enter your name and write the subject line. You see under the “Subject line”, that you can personalize the email subject and add criteria. After this, you are to select email template structure. There are four possibilities: Import your templates, use layout template editor or existing free templates and HTML editor. After you have designed the template or chosen already existing one, you need to specify the source of the addresses. The email campaign is sent for moderation. In a few minutes, you are notified via email that the campaign has been verified and approved. So, it is pretty easy to create a campaign and it takes not much time. Then you can monitor the results of your email campaign with email analytics tool. Click on “Reports-Analytics”. So, SendPulse is a progressive company that invests in the development of advanced functionality that allows the customer to reach better results than with any competitor’s service. Moreover, it has technical support, which can be asked for help any time convenient to you.